Hillary Clinton will wrap up her 2016 Presidential campaign with a rally at Independence Hall in Philadelphia. Joining the Democratic nominee will be her husband President Bill Clinton and her daughter Chelsea Clinton. President Barack Obama and first lady Michelle Obama will also be in attendance. New Jersey rockers Jon Bon Jovi and Bruce Springsteen are expected to perform. Thousands of people lined up for hours waiting to get into the free event on Monday night. 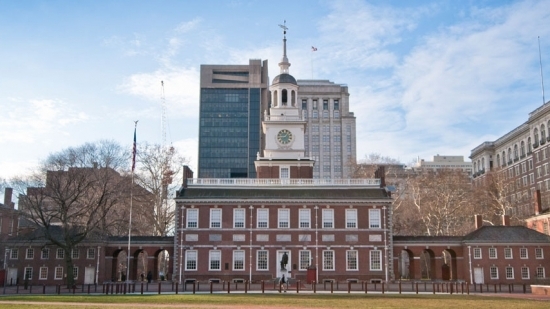 "With Independence Hall as the backdrop, Clinton will urge Pennsylvanians to make history on Tuesday by electing her president so she can continue pushing for the American ideals of progress, inclusion, equality and strength that our founders enshrined in our Constitution there in 1787. "